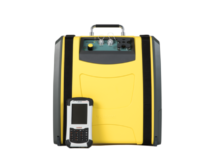 Gasmet DX4015 is a portable FTIR gas analyzer for ambient air analysis. 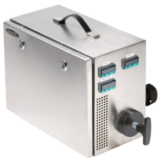 The key features of the Gasmet DX4015 include a high sensitivity sample cell for lowest possible detection limits and a built-in-pump, which means that there is no need to use a separate sampling system. 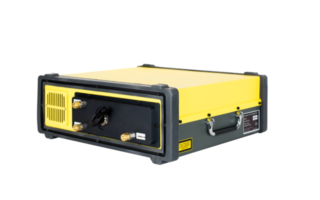 The analyzer can be powered with 12 VDC from for example an external battery, so it can easily be used in field conditions where mains power is not available. The Gasmet DX4015 can measure up to 50 gases simultaneously, and addition of new measurement parameters is easy, without any need of hardware changes. Gasmet DX4015’s sample cell is heated to 50 °C, which allows measurements to be done in conditions where high humidity is expected and provides temperature stability in changing conditions. The Gasmet DX4015 is operated with the Calcmet software running on an external laptop computer. This provides a flexible and easy to use user interface for taking measurements and viewing on-line results.